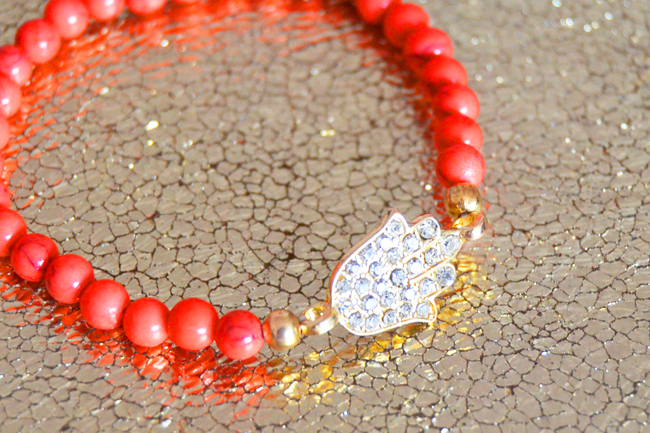 I finally found the delicate Hamsa bracelet that i was looking for a while now. The first of my collection you already have seen here. 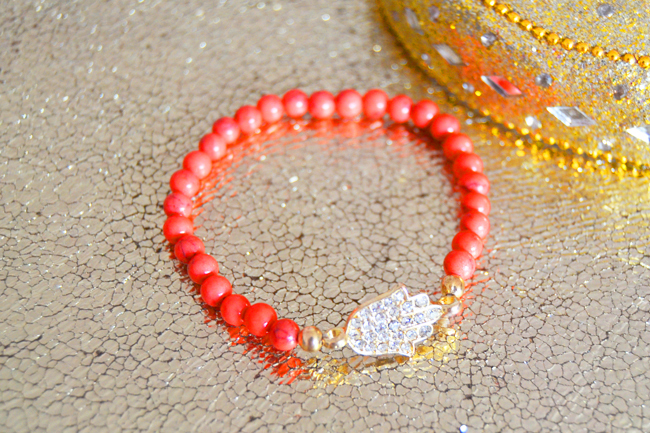 In a mixture between the coral and the crystalized gold this talisman combines in full harmony the traditional and the modern. With this precious Hamsa my days will have even more luck...well, we make our own luck but is always good a lucky little extra. Encontrei finalmente a delicada pulseira Hamsa que andava à procura há já algum tempo. A primeira da minha colecção vocês já viram aqui. Numa junção entre o coral e o dourado cristalizado este talismã alia em plena harmonia o tradicional e o moderno. Com esta preciosa Hamsa os meus dias vão passar a ter mais sorte ainda...bem, a sorte somos nós que a fazemos mas é sempre bom a lucky little extra.